There are many situations in which I’ve been involved where a company is sold at much less than what people dreamed. The average company valuation for seed round investments is around $2 million (post-money). However, the exit values are generally not what everyone dreams they might be at the outset. Indeed, most companies fail but even those that do well don’t pay out the ten fold home runs we all cheer for. When one of these $2 million early stage companies gets a healthy multiple, let’s say a $10+ million exit valuation, does that mean that everyone enjoys a positive outcome? Not at all. In many cases the founders make money but the early investors – especially the very first investors – tend to lose most of their money. Later stage investors, especially more sophisticated institutional or venture capital investors often make money – or at least get their money back – because they have liquidation preferences. They usually ask for Preferred Shares with rights that are clearly entrenched. Sometimes they demand, and get, multiple liquidation preferences. For example, a 3X liquidation preference means that when the company is sold, they get back 300% of their capital before other shareholders get a cent. More often than not, they also get participation rights which means that after the preferential payout, they also participate in sharing the remaining payout with other shareholders. 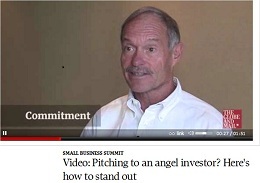 There is an increasing trend (and this is clearly the case in U.S. Angel circles) for angel investors to demand Preferred Shares. In the past, angels have been willing to accept common shares to be more aligned with the entrepreneurs and not act like greedy VCs. But, they’ve learned that the founders can also be greedy. Often, when more shares are issued on subsequent rounds, the shares may be offered at lower prices, i.e. a “down rounds” and hence, more dilution. This could be because the company isn’t performing as expected or it could be a market/economic condition. Then there’s the matter of dilution through frequent grants of stock options. Although option pools may be set at less than 20% of common shares issued, options often get exercised and then more get issued – especially if senior management like a CEO is brought in. In a nutshell, while a company’s value may grow over time, so does the number of shares outstanding. If a company’s market value doubles and the number of shares also doubles, the per-share price stays the same. How can the brave, early investors avoid such wash-outs? One way to avoid this problem is with a low valuation. The other way is to give these investors certain rights as part of their investment agreement and/or as embodied in a shareholders agreement. One of the toughest terms to agree on in an investment negotiation is the valuation of the company. Investors may be more inclined to go along with a higher valuation if, in return, they get some downside protection. One approach is to offer down-round protection that extends all the way to an exit. This can be done contractually, eg shareholders agreement, to avoid having to issue special classes of shares. This might create a conflict when an A-round investor asks for a Preferred Share with a liquidation preference. If that happens, then the early investor should also have the right to convert his shares to the same class as the new investors (ideally with a conversion bonus for being in early). In other words, if I invest now at .25/share and later the company offers shares at less than that, I get more shares to bring me to the new cost per share. If the exit is at less than .25 share (which can happen even if the total valuation is 3 or 4 times what it is today), then I get more shares (and effectively get my money back with no profit). If a company is under-performing, this could result in a death spiral. Smart investors will realize this and may be willing to make compromises but it does give them protection which, sadly, they often don’t have. In these situations, companies usually fail anyway. But, in those cases where companies perform and the outcomes are just not as rosy as envisaged there needs to be a more equitable distribution. Surprisingly, I find that founders often push back on this suggestion. It tells me they are not as confident as they want me to believe. If all goes according to plan (ie. their plan), this should not be an issue.